Designer Furniture: Guaranteed Christmas Delivery! One of the nicest things about Christmas is spending time with family and friends. As you're likely to have plenty of visitors, it's the ideal time to invest in new furniture and, at Designer Sofas For You, we have got lots of fabulous sofas, chairs and dining furniture designed to beautify and enhance the aesthetic value of your home. This year, we will be taking orders up to and including Black Friday, which is on the 23rd of November. Orders received during this time are guaranteed to be delivered by Christmas, ensuring you have got plenty of room to comfortably accommodate your guests. Available in a wide range of stylish colours including burgundy, chocolate, apricot and tan, this 100% genuine Italian leather suite features wooden feet and a selection of border options. The cushions are filled with state-of-the-art fibre technology for the ultimate comfort and you can save a full 50% on the RRP! Save 25% on this gorgeous chair, perfect for snuggling up to the fireside on those cold winter nights. Rendered in a sophisticated beige-striped fabric, this is a particularly attractive piece of furniture. 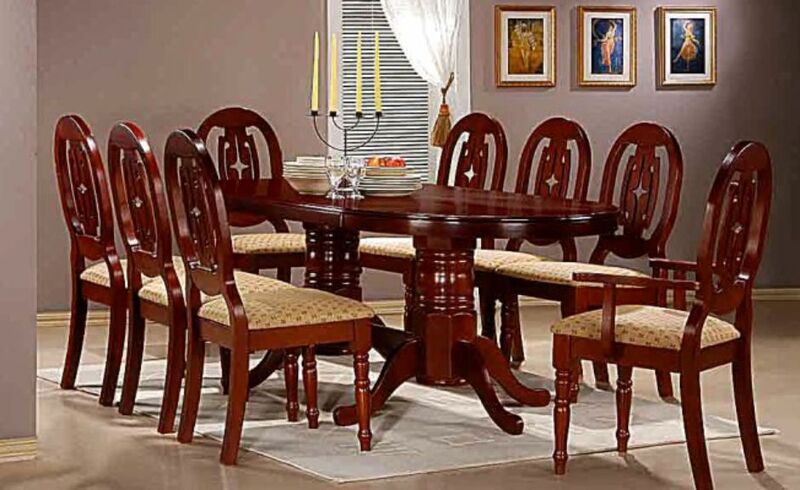 With a 20% price discount, the Moscow Dining Table Set in mahogany comprises a smart, elegant dining table, six chairs and two carvers. Perfect for enjoying a family Christmas dinner. Bon appetit! Browse our collection now and order before Black Friday for guaranteed delivery by Christmas!